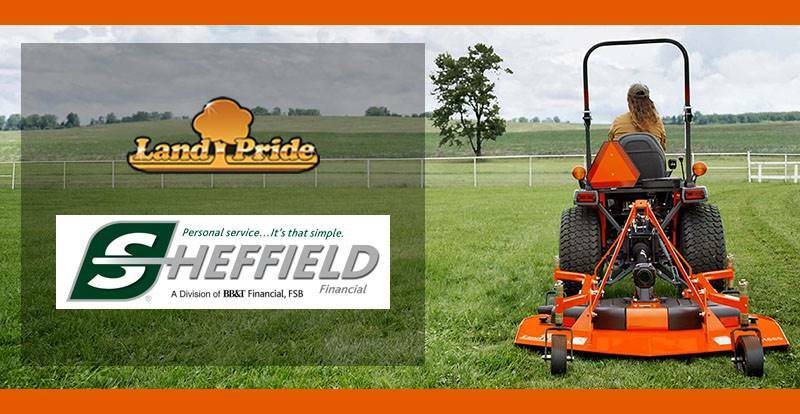 Land Pride's AR25 Series pull-type Pasture Aerators are ideal in agricultural conservation tillage and pasture renovations. The heavy-duty, knife-like tines on the aerator are designed with a twist in them to break-up compacted soil horizontally and vertically as they slice into the ground in a twisting fashion. This breaking action conditions the soil to soak up run-off water faster, allow fertilizer to penetrate deeper into the ground, and increase oxygen and water supplies to the plant roots. 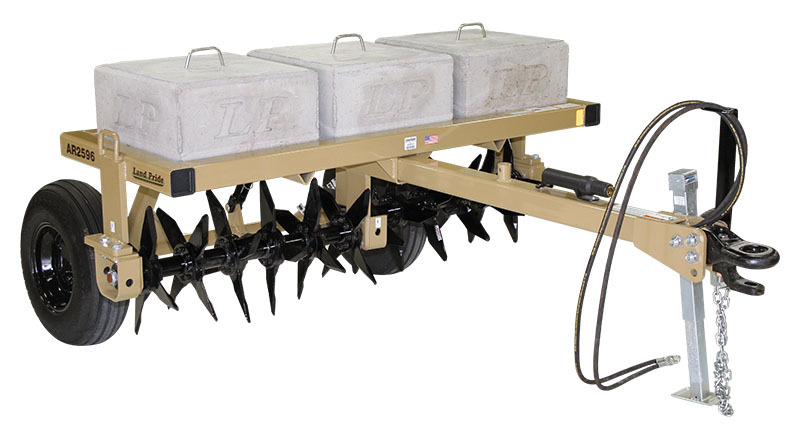 Optional concrete weights help aerator tines penetrate the ground at their maximum depth. All Welded 4 x 4 Tubing Frame: Makes for a very strong frame. 4 x 4 x 0.31 in. Tongue With Clevis Hitch: Built heavy duty to withstand side loads from the tines. Forged & Heat Treated Through Steel Tines: Forged and heat treated tines are very resistant to wear and breakage giving them a long life. Tines: Tines are designed with a twist to lift while fracturing the soil sideways. Bolt-on Tines (2 Bolts Per Tine): Tines are easily replaceable with 2 bolts per tine. Adjustable Rotors: Rotors can be adjusted from 2.5, 5 and 7.5 degrees to meet customers needs. The greater the angle the harsher the shattering of soil. AR2510 = 64 Tines Total: Tines spaced 7.5 in. apart provides good coverage. Optional Weights Constructed of 740 lb. Concrete Blocks With Lifting Lugs Built In: AR2596 accepts up to 3 concrete blocks and AR2510 accepts up to 4 concrete blocks. Helps Aerator tines penetrate the ground. Optional Harrow Lift Package: Lifts the Drag Harrow off the ground for transporting on roadways. 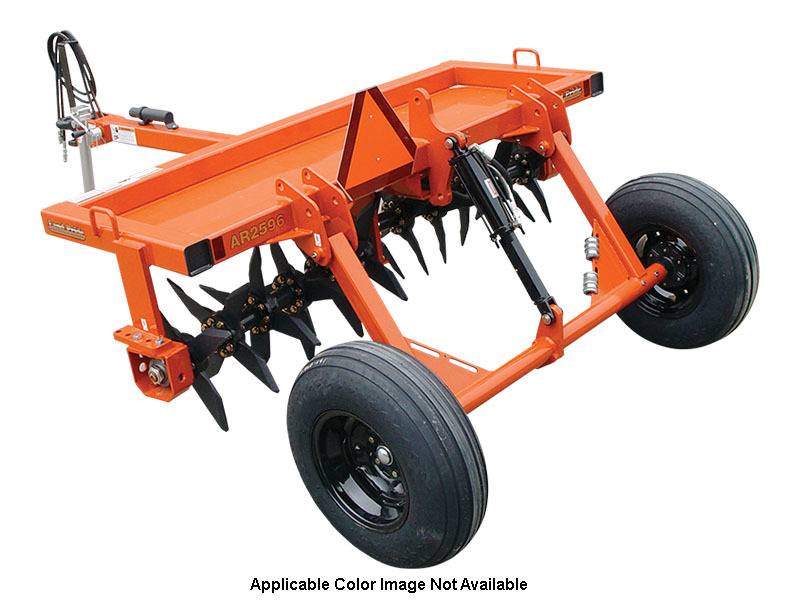 Accessory Drag Harrow: Provides a means to smooth out the ground behind the Aerator. Drag Harrow has three positions it can be used: Drag Mat, Light Penetration & Deep Penetration. 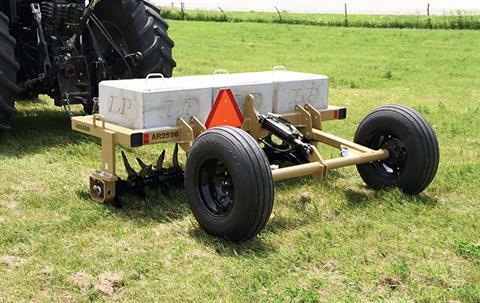 Accessory Trailing Hitch: Hitch is self leveling for pulling implements behind the Aerator. Without added weight - 2,200 lbs. Hub spacing - 7.5 in.